Double X Science: The Vampire of Venice Returns, or What Is that Brick Doing in that Skull's Mouth? 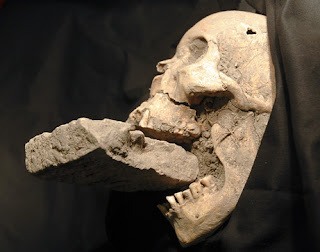 The Vampire of Venice Returns, or What Is that Brick Doing in that Skull's Mouth? A few months ago, another group of Italian bioarchaeologists, led by Simona Minozzi, wrote acommentary about this also in the Journal of Forensic Sciences. In essence, they argue that the brick in the mouth, the misaligned collarbones, and other aspects of Nuzzolese and Borrini's case are simply taphonomic - that is, normal processes that happen by chance after death and burial. They also take issue with Nuzzolese and Borrini's interpretation of the historical record as well. 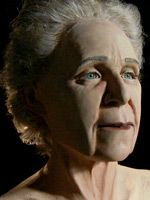 Minozzi and colleagues don't buy the vampire interpretation at all, and go so far in this LiveScience article as saying that Borrini is making it up to bring more attention to the perpetually underfunded state of Italian bioarchaeology.